An EXTENDED four bedroom DETACHED home with a double length garage occupying a pleasant CUL DE SAC convenient for Cambridge and the GUIDED BUS. The property stands detached with a garage and driveway alongside surrounded by mature trees within a select cul de sac just North of Cambridge. 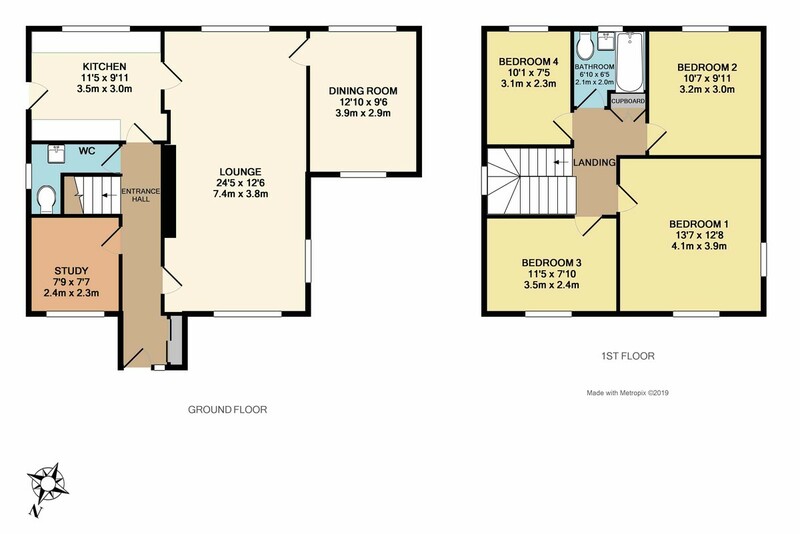 Offering versatile and extended accommodation with a spacious lounge and dining room and four good bedrooms benefitting from gas central heating and double glazing. A fine family home near excellent village facilities, the A14, Guided Bus, Science Park and Cambridge North Station. Much loved by the current owner and his family the accommodation holds lots of potential for the new owner. LONG ENTRANCE HALL With built in coat and shoe storage and stairs to the first floor. CLOAKROOM Steps down to a low level WC and handbasin with side facing frosted window. KITCHEN/BREAKFAST ROOM With a good number of cupboard units, worksurface with splashback tiling, inset sink and drainer, wall mounted boiler, ceramic tiled floor, rear window and side door. DINING ROOM With a twin aspect window to front an rear, a versatile room ideal for either a dining room or an extra reception room for the children with games station and sofa. FIRST FLOOR A large window on the turn of the stairway allows maximum natural light into the landing with loft access and airing cupboard housing the hot water cylinder. BEDROOM 1 A large double twin aspect room with attractive views. BEDROOM 2 Another double to the rear of the property. BEDROOM 3 A good third bedroom to the front of the property. BEDROOM 4 A recently decorated bright single bedroom. BATHROOM A three piece coloured suite with splashback tiling frosted window and new floor covering.